Cook County is opening a Triage Center in the Roseland Health Center as an alternative to jail for those who need direct medical and mental health attention. They are also opening a private mental health center, run by Community Counseling Centers of Chicago. Mayor Emanuel is using the opening of the Triage Center as cover to close the City's Roseland Mental Health Clinic. The closure of this public clinic is a dire concern for a community that desperately needs massive investments of services. This decision was made without a hearing or any public discussion. This fall, Mental Health Movement volunteers knocked on doors to educate the community about the clinic closure and recruited residents to meet with the Alderman about the issue. 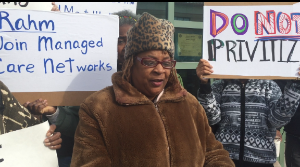 In October we held a press conference where Diane Adams spoke about the issue: "We have to demand a hearing, in order for our voices to be heard" she said. On December 8th we escalated our actions by occupying the clinic to protest its closure. Ronald 'Kowboy' Jackson, a leader of the Mental Health Movement and STOP, chained himself to the doors of the clinic. Outside, members and allies chanted and spoke to the press. Obari Cartman, a psychologist, professor, and ally explained "There's business in privatizing, business in locking up, and corportizing the wellness of our people." In the end the police cut Kowboy's chains and removed him from the clinic. 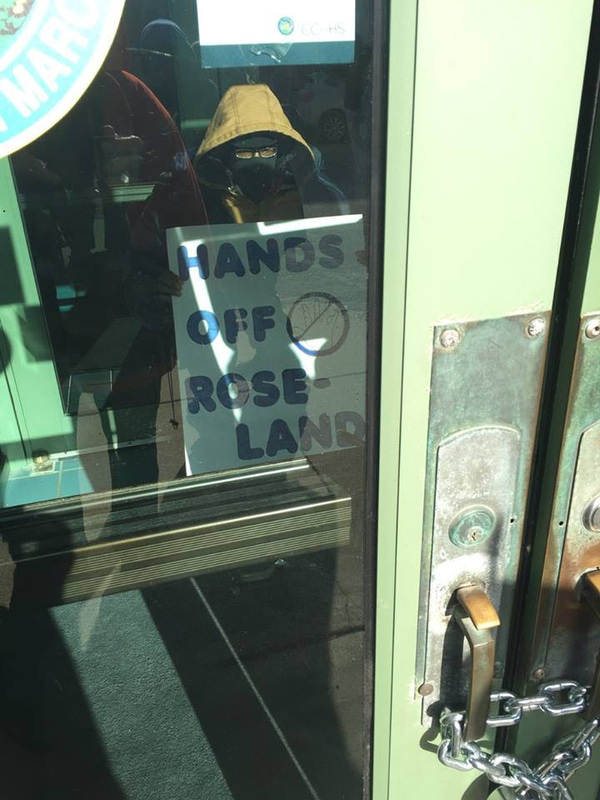 Though Rahm cut our chains he cannot cut our resolve, we will fight until our clinics are re-opened and fully funded. 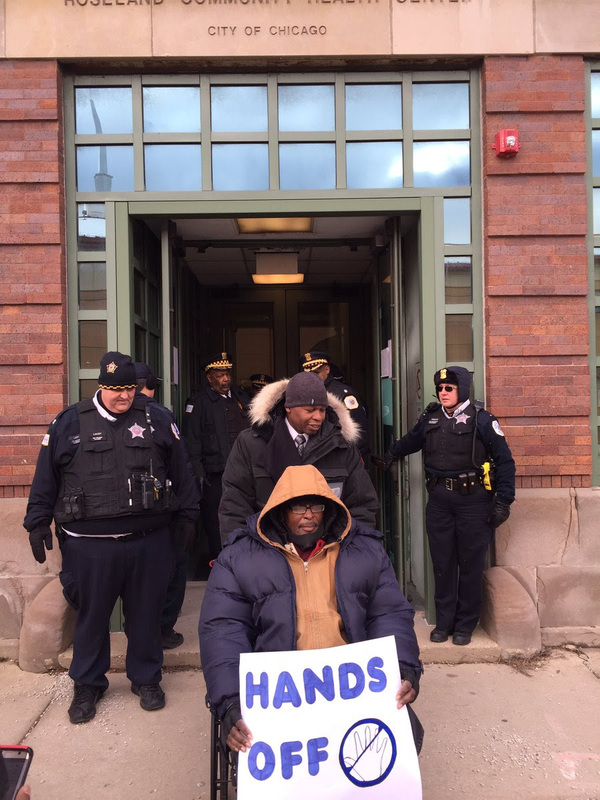 Pictures of the action are below and a link to an article about the closure in the Chicago Reporter is here: http:// http://chicagoreporter.com/emanuels-privatizing-mental-health-clinic-in-roseland-raises-concerns/. This winter we will continue to demand a hearing on the closure of the Roseland Clinic and educate elected officials about the Safety Net Ordinance, which would require the clinics to join a managed care network allowing them to receive funding and sustain themselves. This will protect the remaining public mental health clinics.